The Islamic State (ISIS/ISIL) finally followed through on its threats to attack Shiite powerhouse Iran, disregarding a reported “secret deal” between its Sunni rival al-Qaeda and Tehran not to carry out attacks on the Islamic Republic’s soil, notes the Daily Beast. Iran has also established a “covert” relationship with al-Qaeda’s ally in neighboring Afghanistan, the Sunni Taliban, that has endured as a “marriage of convenience” for over a decade due to their mutual disdain towards ISIS and the United States, revealed various news reports in June 2016. Both al-Qaeda and the Taliban consider ISIS their enemy despite their Sunni ties. ISIS has criticized al-Qaeda for being soft on Shiite-majority Iran and has long threatened to attack the Islamic Republic. 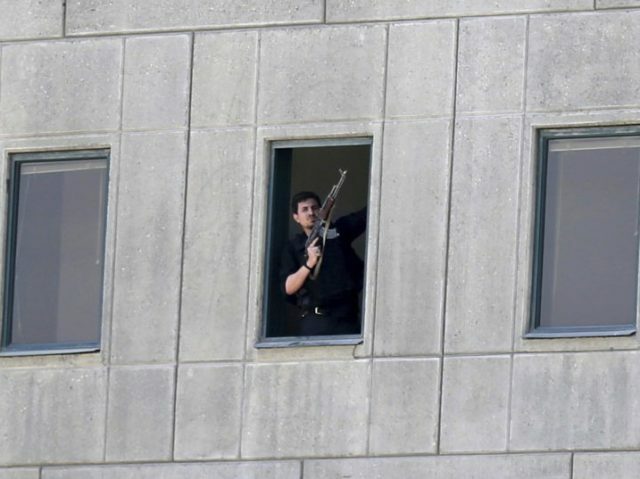 Last week, ISIS claimed responsibility for attacking the Iranian Parliament and the shrine of the late founder of the Islamic Republic and leader of the 1979 revolution, Ayatollah Ruhollah Khomeini, killing at least 12 people and wounding more than 40. Although in Syria and Yemen, al-Qaeda and Iran sit on opposite sides of the ongoing wars, the two have reportedly managed to maintain their agreement. The so-called “secret deal” between Iran and al-Qaeda mirrors the alleged relationship between Tehran and the Taliban. Thomas Joscelyn, a senior fellow at the Foundation for Defense of Democracies (FDD) and the senior editor for The Long War Journal (LWJ), authored the Daily Beast report outlining the links between Iran and al-Qaeda. Iran has a long history of backing the Taliban’s insurgency against US and allied forces in Afghanistan. Indeed, the relationship between the two former foes is one of the most misunderstood and oft-overlooked aspects of the 9/11 wars…Just before the American-led invasion of Afghanistan two months earlier, the Iranians cut a secret deal with [long-time Taliban leader and founder] Mullah [Mohammad] Omar’s representatives. Iran has reportedly provided funding and military support to both the Taliban and al-Qaeda. The relationship between Iran and the Taliban has evolved into a mutual effort to prevent the Afghan branch of the Islamic State from flourishing in the region.